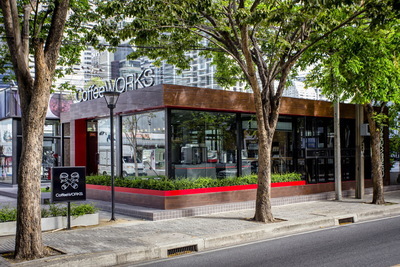 29 June, 2015 – Bangkok: CoffeeWORKS, one of Thailand’s leading B2B coffee roasters and coffee-machine suppliers, announced market plans with a 400 million Baht target driven by business expansion over the next 3 years. 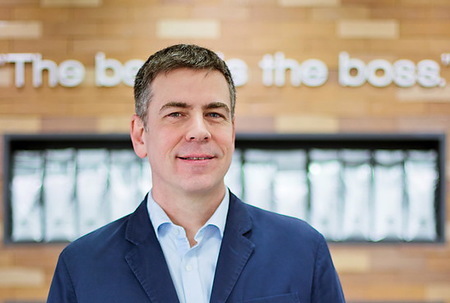 “In the first quarter of 2015, the company invested 10 million Baht to establish the CoffeeWORKS Experience Center Bangkok. The facility occupies 150 square meters on Sukhumvit Soi 26 and compliments CoffeeWORKS' new Samut Prakarn coffee roasting facility, which we moved into at the end of 2012. Our CoffeeWORKS Experience Center not only creates visibility for and awareness of the CoffeeWORKS brand to passersby, but also serves as an integrated coffee education center providing clients access to our team of coffee experts for training courses as well as displaying our products, selling CoffeeWORKS’ specialty roast coffee packages, and after-sales service both for our B2B customers and the general public,” Mr. Lee continued. Dale Lee - Co-Founder and Managing Director, Andrew Stotz - Co-founder and Finance Director CoffeeWORKS Co., Ltd. and one highlight of the CoffeeWORKS Experience Center is the 65 year old re-birthed classic Vittoria coffee roaster originally made in Bologna, Italy that serves as one of the company’s research and development tools. CoffeeWORKS will begin aggressively opening additional ‘CoffeeWORKS Experience Centers’ throughout all areas of Thailand, such as Hua Hin, Pattaya, Khon Kaen, and where our existing technical support offices are located between now and 2018. We want to provide existing and new B2B customers in these markets the same level of locally-based training and coffee knowledge acquisition opportunities that CoffeeWORKS’ Bangkok customers currently benefit from. 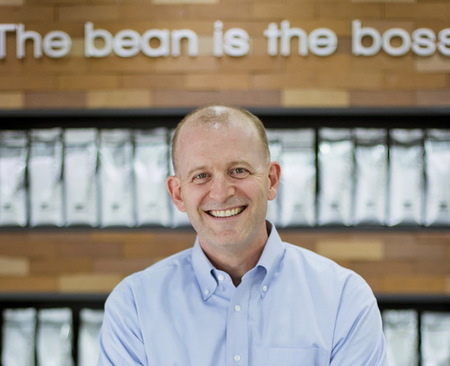 Andrew Stotz Co-founder and Finance Director CoffeeWORKS Co., Ltd.
CoffeeWORKS pre-dated the boom in Thailand’s coffee shop sector. 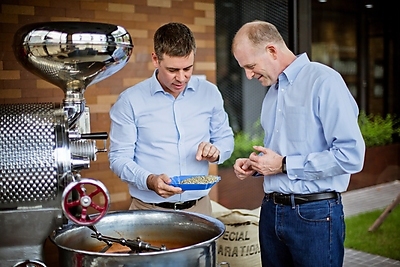 Prior to building CoffeeWORKS in Thailand the co-founders worked in the US west coast coffee market when the specialist coffee shop business model was still populated by less than a dozen storefronts. Today in Thailand, CoffeeWORKS operates as a specialty coffee roaster and commercial espresso machine importer supplying almost 1,000 specialist coffee shop, restaurant, QSR (Quick Service Restaurant), hotel, and office locations throughout Thailand.